Lisnabreeny townland is in the Castlereagh Hills, to the southeast of Belfast. Those hills aren’t massive, but Lisnabreeny stands at the highest point, 170 metres above sea level. The large trees in that photo are on the edge of an earthen mound known as a ring fort or rath (from the Irish ráth). 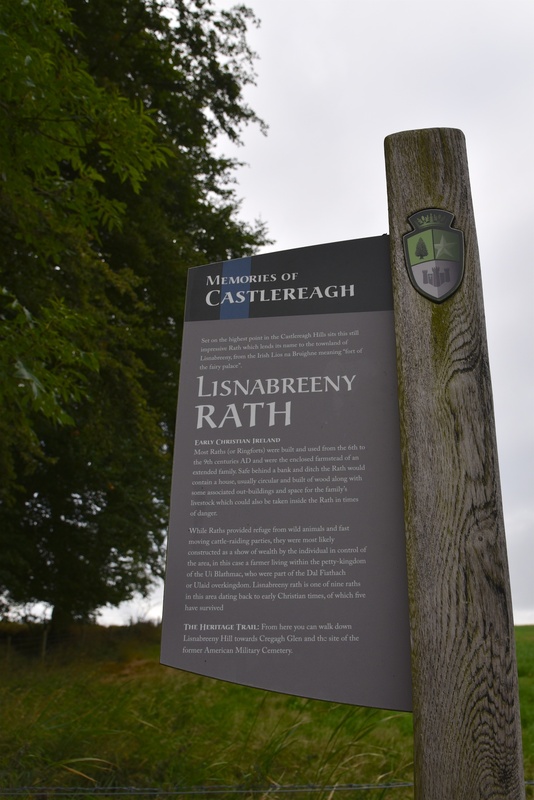 This rath is probably the one from which the townland took the Irish name Lios na Bruíne meaning ‘fort of the hostel or fairy dwelling’, giving the English version Lisnabreeny. 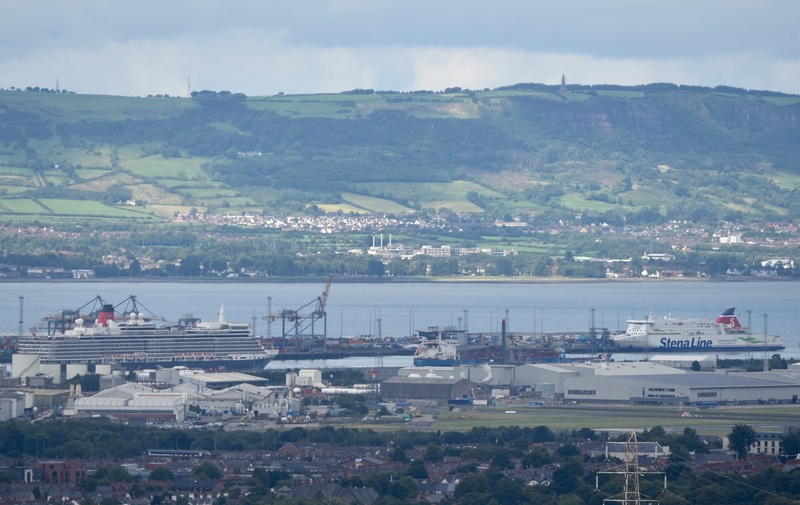 On the day of my visit, the rath witnessed the arrival of a Cunard cruise ship and a Stena Line ferry. 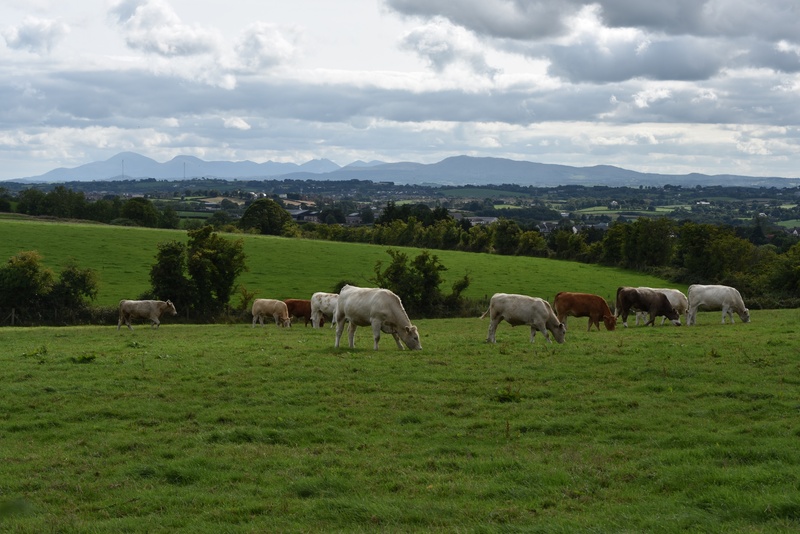 ….or south to the Mournes. 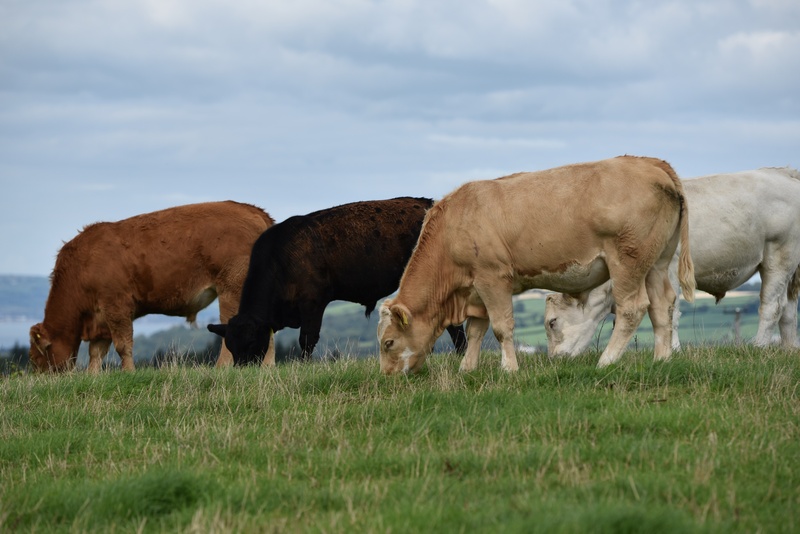 The cattle have their own water supply. 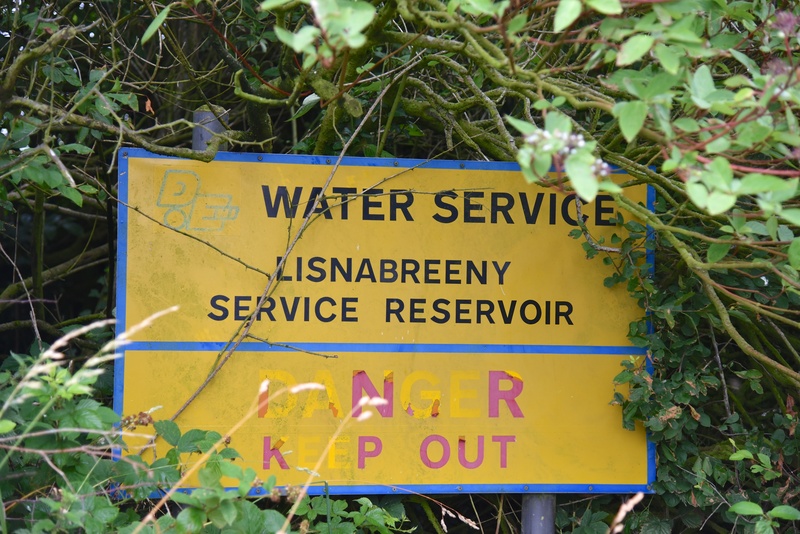 On a larger scale, Lisnabreeny Service Reservoir collects water for humans. 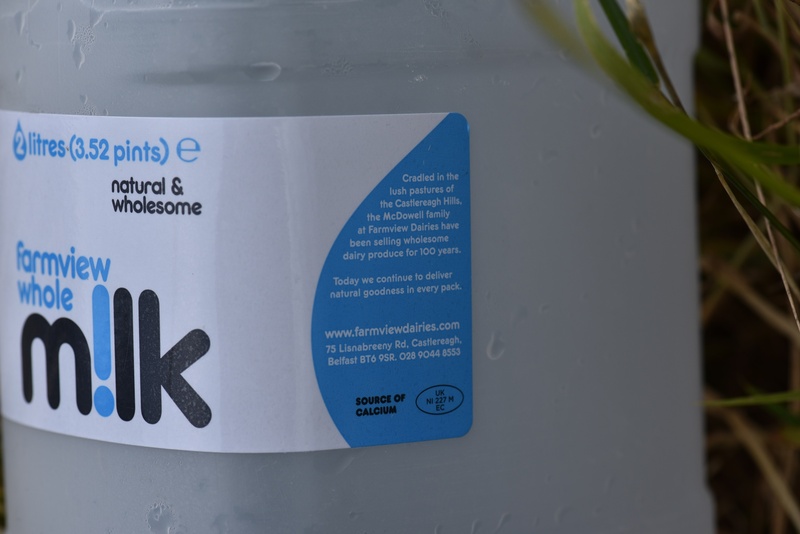 Much of the milk that I buy comes from Farmview Dairies on the Lisnabreeny Road. 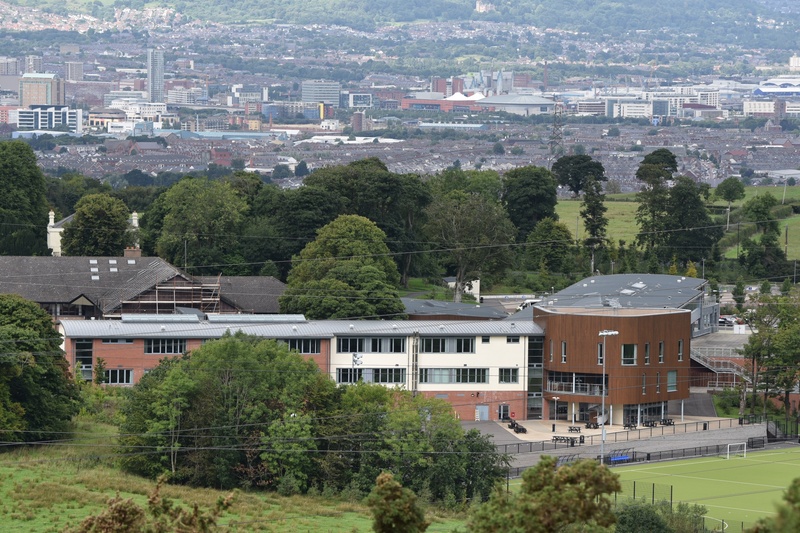 In 1991 Lisnabreeny House became the site of Belfast’s first religiously integrated school – Lagan College. Before it was a school, Lisnabreeny House had been the home of the writer Nesca Robb (who donated it to the National Trust), then a youth hostel, then a base for the United States Army during the Second World War. The school is marked on my sketch map of the townland. 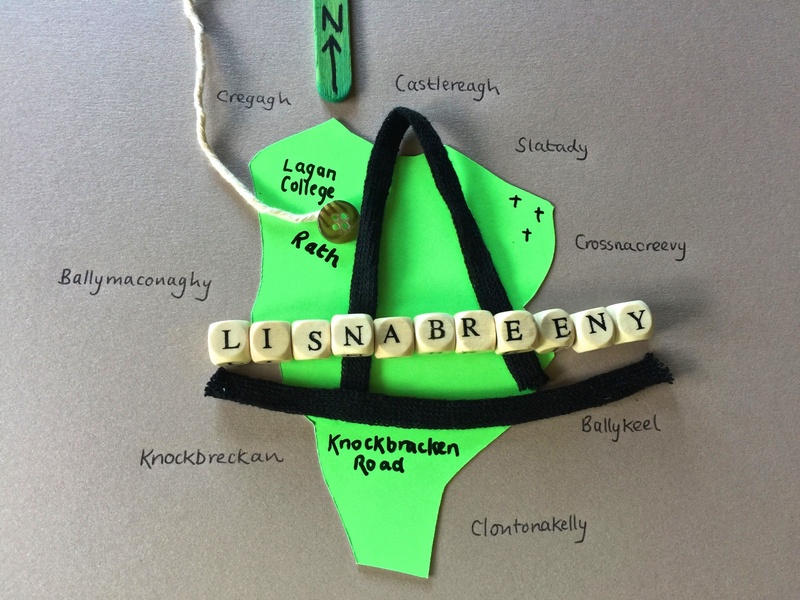 Lisnabreeny is in green; it is ringed by the names of neighbouring townlands. 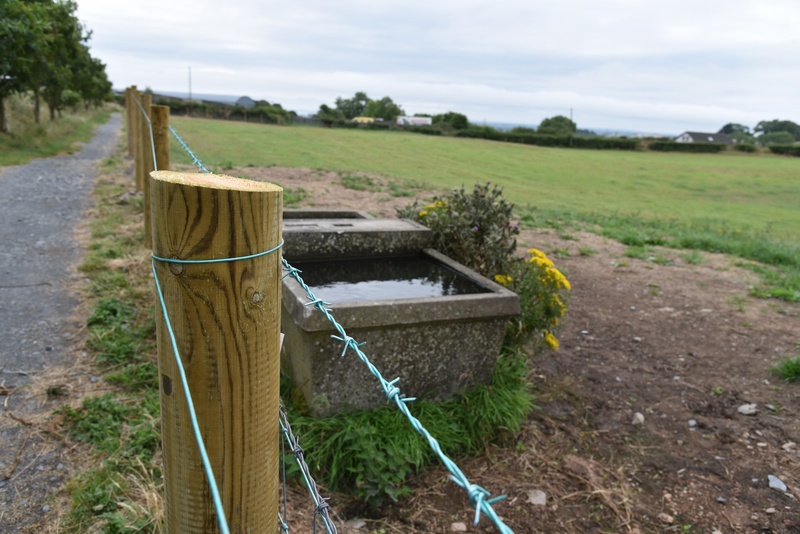 Which townlands border Lisnabreeny? To the north, Castlereagh. To the east, Ballykeel, Crossnacreevy and Slatady. To the south, Clontonakelly. To the west, Knockbreckan, Cregagh and Ballymaconaghy. Click here to see my photographs of gravestones connected to Lisnabreeny. 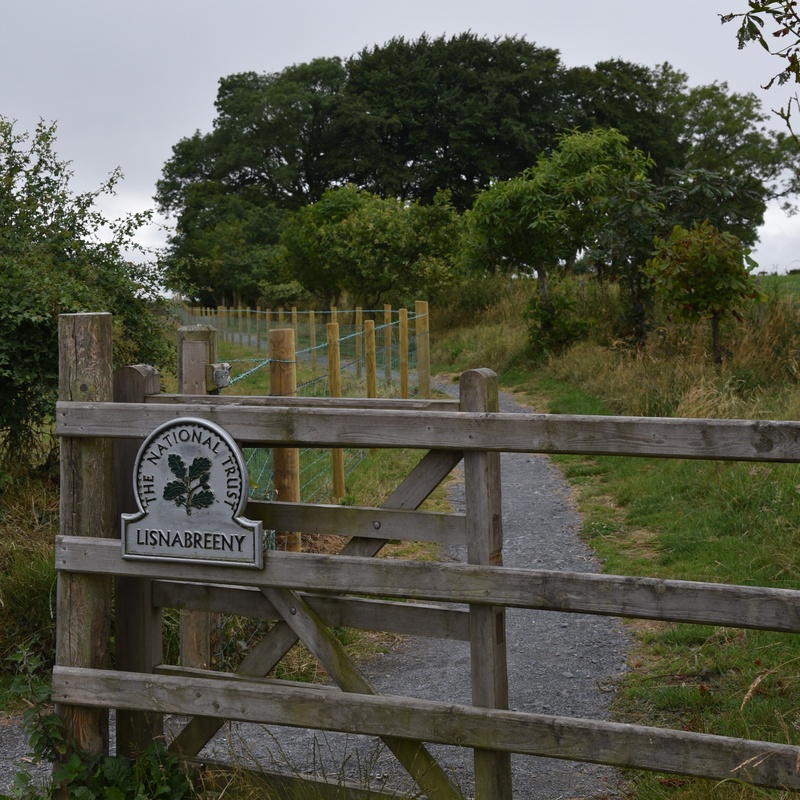 Click here for a map of Lisnabreeny on Townlands.IE.